Celebrating Independence Day is the highlight of the summer season! But the Fourth of July doesn’t have to mean the end of your good eating habits. 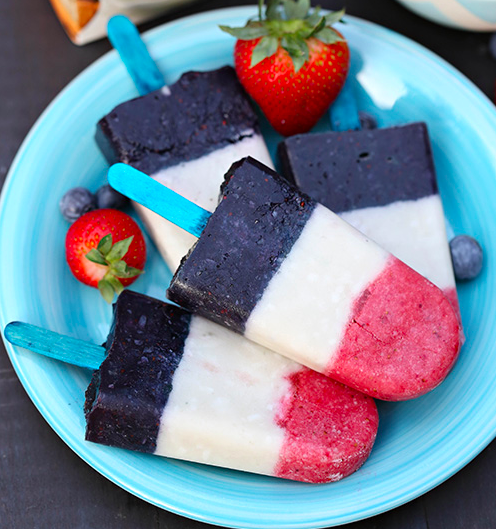 We’ve put together a list of treats that are both festive and healthy to celebrate the USA in style! 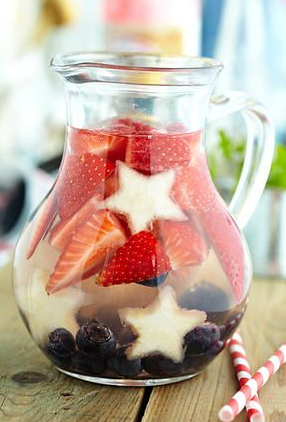 Fruit Infused Fourth Water Stay hydrated with this festive and delicious take on spa water! Slices or cubes of fresh pineapple. Use cookie cutters for star shapes. Firecracker Fruit Pops These pops are easy to make and fun for the whole family! While they are freezing, repeat the above step with the blueberries and 1 cup of Almondmilk and set it aside. 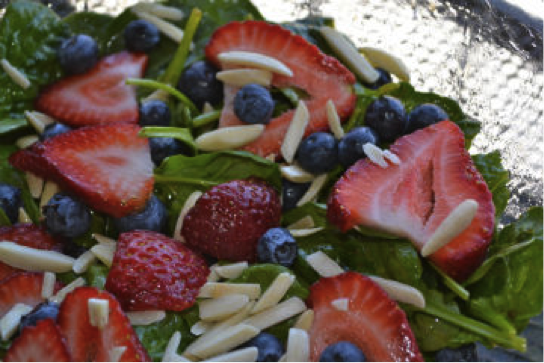 Red, White and Blue Spinach Salad Patriotic, delicious and nutritious! Toss all ingredients together in a large salad bowl and drizzle with vinaigrette. Previous Post Summertime Recipes Perfect for a Party!